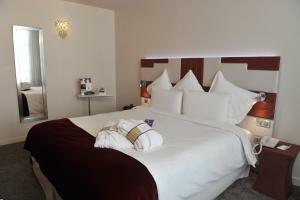 Located 350 metres from the Grands Boulevards, the Mercure Paris Opéra Faubourg Montmartre is set in a Art Deco building, buit in 1930s. It offers free WiFi access. Opéra Garnier can be reached within 1.2 km. 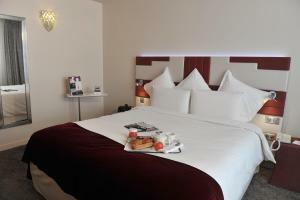 All rooms are air-conditioned and feature a minibar and satellite TV. 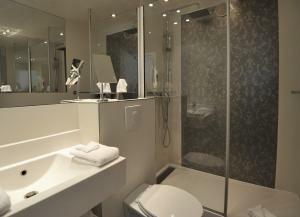 They also include a bathroom with a shower, free toiletries and a hairdryer. In some rooms, a desk is provided. An electric kettle is featured in each room, as well as a safe deposit box. Breakfast can be enjoyed every morning at Mercure Opéra Faubourg Montmartre at an extra cost. Guests can also enjoy a drink in the on-site bar. Several bars and restaurants can be found nearby. 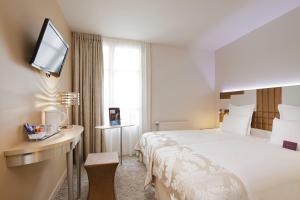 The Mercure Paris Opéra Faubourg Montmartre is 1.8 km from Sacré-Coeur Cathedral and 1.4 km from the Grands Magasins such as Printemps Haussman and Galeries Lafayette. Louvre Museum is 1.7 km away. Train stations such as Gare de l'Est or Gare du Nord can be easily reached, while Orly airport is 16 km far from the property. 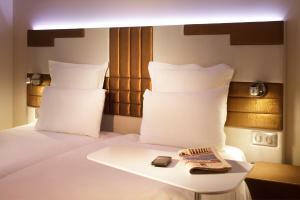 A minibar, satellite TV and free Wi-Fi access are provided in this air-conditioned room. 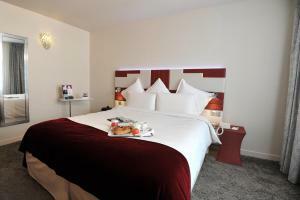 Rate: € 157.60 ... € 220.07; select dates below to get current rates. 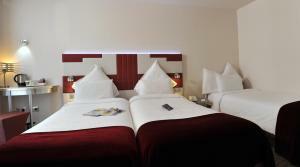 Rate: € 120.60 ... € 271.50; select dates below to get current rates. Satellite TV, a minibar, an electric kettle, and en suite facilities including free toiletries and a hairdryer are offered in this room. 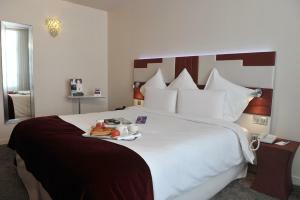 Rate: € 102.60 ... € 302.00; select dates below to get current rates.